A friend sent this along recently, and it’s worth a look (and maybe a laugh). This entry was posted in grammar, humor, language, writing and tagged grammar, humor, language, language humor, writing. Bookmark the permalink. 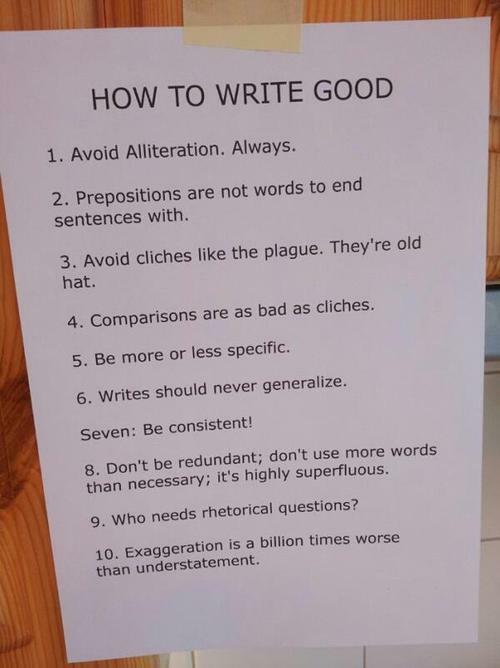 Looks like a list mostly ripped off from William Safire’s rules of writing.